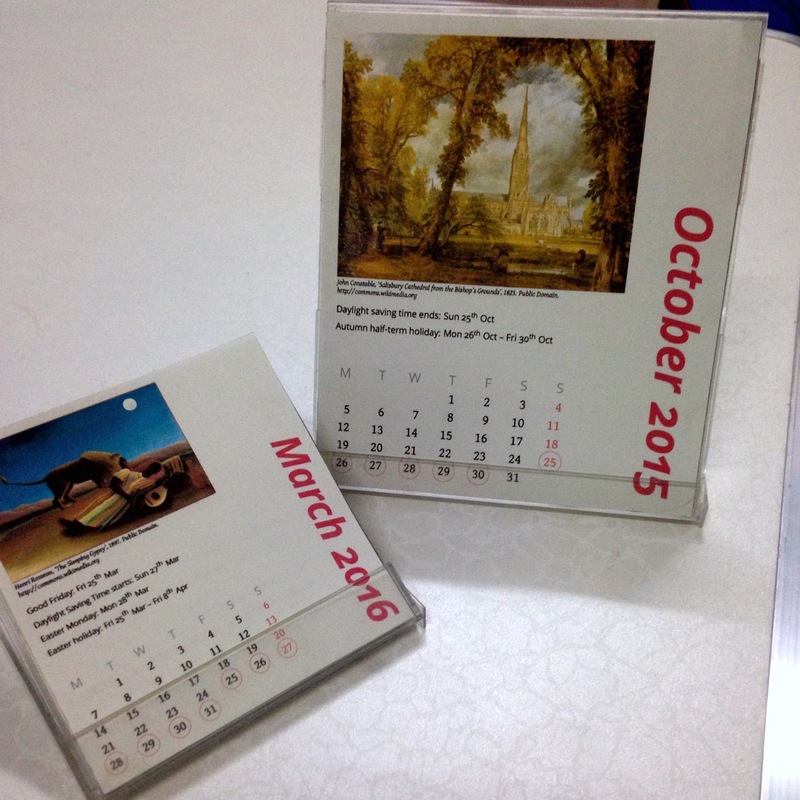 The calendars are printed 4-up to fit 3.5" floppy disk jewel cases, or 2-up to fit CD jewel cases. Colours, illustrations, fonts etc are customisable. The calendars can be marked with events with date ranges (updated June 22, 2015). Tested with british, spanish, french, ngerman, italian, portuges, polish, croatian, greek, bahasai. See this blog post for more information, or open and edit a CD-sized or floppy disk-sized calendar template on Overleaf.